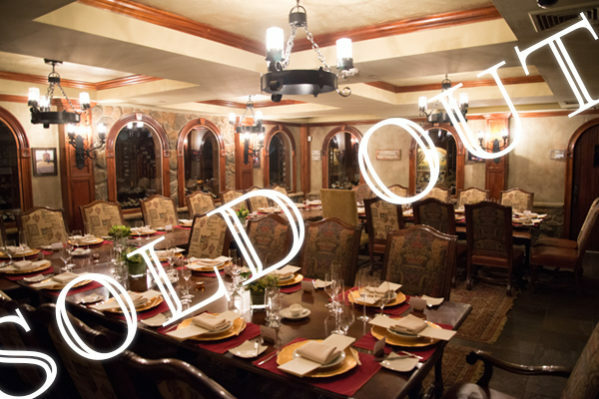 Wine Cellar Dinner – $495++ includes Champagne Reception. Tickets are non-refundable. 21 & over only.